Florida Governor Rick Scott signs Caylee’s Law. The legislation was inspired by the death of two year old Caylee Anthony and the outrage following the acquittal of Casey Anthony. The newly signed missing children’s legislation will increases the maximum penalty. Caylee’s Law makes it a third-degree felony and increase the penalty from a year to five years in prison to give false information to a law enforcement officer in the event of missing child. Caylee’s mother, Casey Anthony, was acquitted last year of murdering her daughter but convicted on four counts of lying to investigators. Caylee wasn’t reported missing until 31 days after she vanished in 2008 in Orlando. Following the absurd decision by the jury in the death of Caylee Anthony, Florida looked to make it a felony offense for an individual not to report a child missing. Sadly, it is too bad this law was not made retroactive for Casey Anthony. Had this law been effective when Casey Anthony did what she claims to have done during her murder trial, Casey could have gotten up to 20 years in prison rather than the slap on the hand. Caylee’s law (HB 37) – read the law HERE. 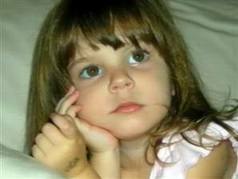 For updates, comments and opinions go to Scared Monkeys Missing Persons/True Crime Forums: Caylee Anthony. Caylee Anthony’s legacy … There may not have been “Justice for Caylee” … however, other children may receive it. “Caylee’s law” has passed the State Assembly in California with near unanimous support. The bi-partisan supported bill is now headed to the State Senate. The law inspired by the death of 2 year old Caylee Anthony and the outrage of the “not guilty” verdict of Casey Anthony, the child’s mother who was accused and tried for murder. “Caylee’s Law” would make it a crime for a parent to not report a child’s death or disappearance within 24 hours. However, a misdemeanor and only 1 year in jail seems like a rather lame sentence. “Caylee’s Law” would make it a crime for a parent to not report a child’s death or disappearance within 24 hours, according to the Sacramento Bee. Offenders would be charged with a misdemeanor and could face up to a year in jail and a $2,000 fine. The law is inspired by Casey Anthony, who failed to report her daughter’s death for a month, but who ended up notoriously being acquitted of murder. Los Angeles Democrat Holly Mitchell sponsored the bill. The California version of Caylee’s Law passed the assembly 66-3 and it will will off to the state Senate for a vote. What should be common sense to report your child missing, was not the case during the Casey Anthony murder trial who eventually stated that the child was never missing, but drown. However, that did not prevent a missing persons case to ensue where eventually Caylee’s remains was found in a swamp. It is hard to believe that a state would need to make it a crime for a parent to not report their child missing, but if states do not want future Zanny the nannies being blamed for kidnappings and children even being reported missing rather than parents going clubbing instead, a law need to be passed. That is what Florida prosecutor Jeff Ashton faced during the Casey Anthony murder trial. Listen to interview to Jeff Ashton HERE. Its kind of hard to not act in a bipartisan manner when it comes to the protection of children. What kind of person would throw their child into the woods, when thousands of strangers who never knew Caylee came to the memorial site to honor and stand with the little girl.